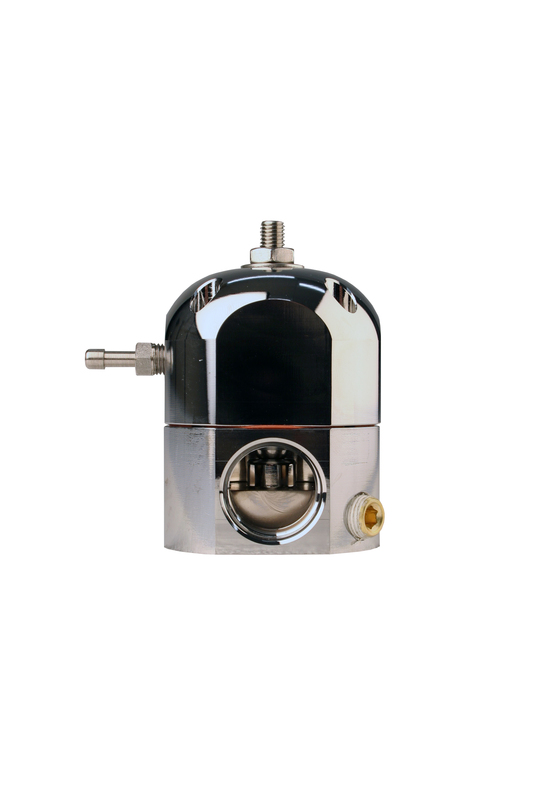 Platinum Series A1000 Carbureted Bypass Regulator Features a nickel finish. Base fuel pressure adjustable from 3-15 PSI. (1) ORB-10 inlet port and (1) ORB-08 return port. 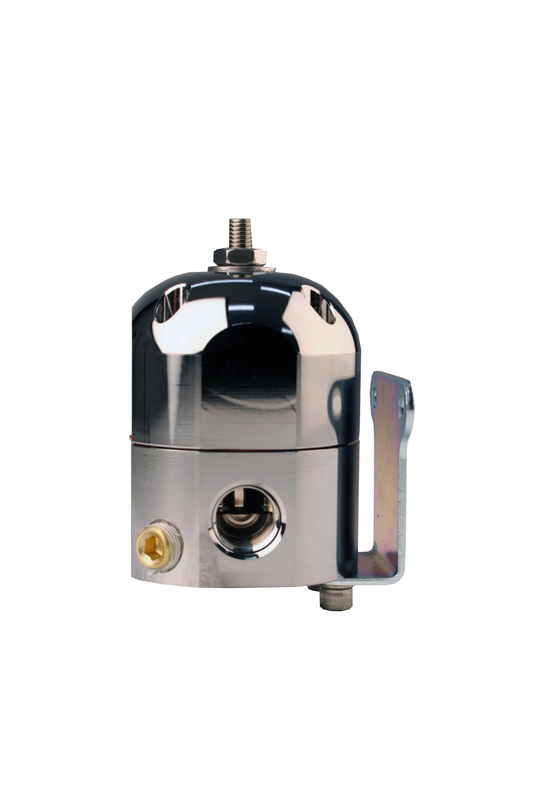 P/N 13204 provides (2)ORB-06 outlet ports and 1/8 NPT gauge port.